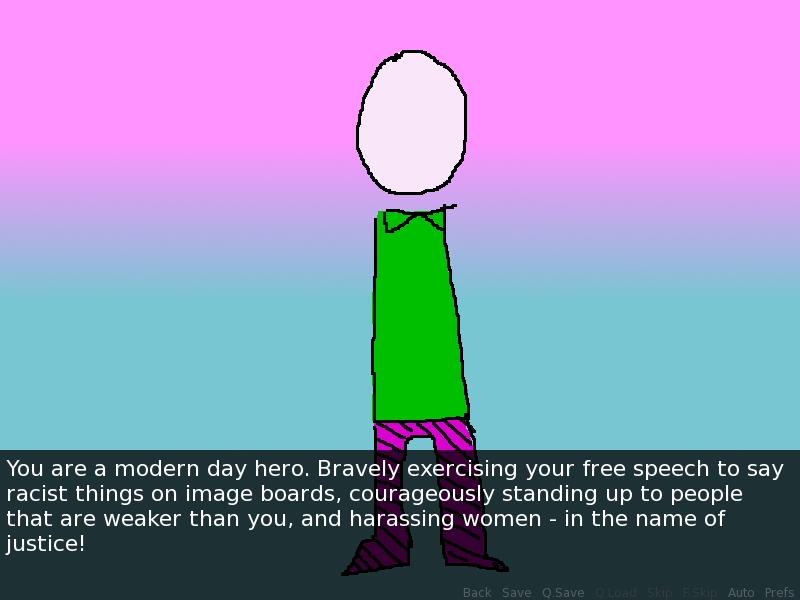 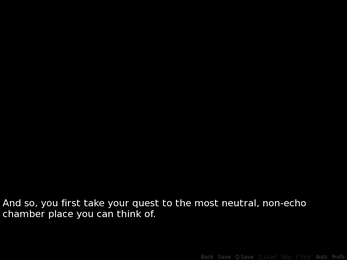 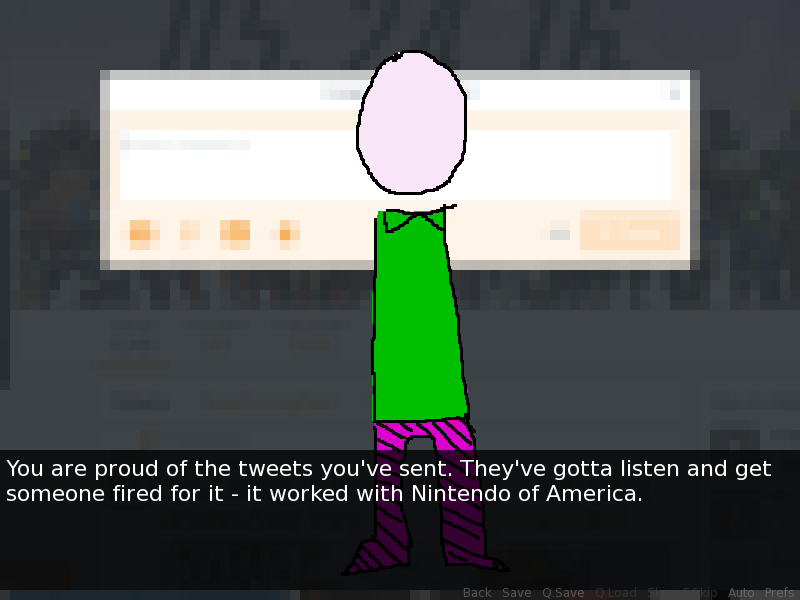 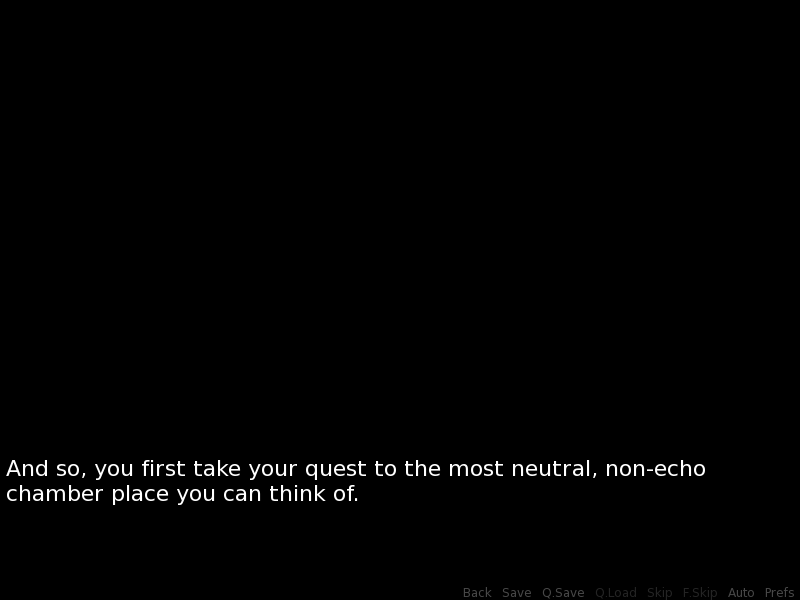 A short "not-a-game" made in renpy about a brave Gamer deciding that political correctness is somehow ruining games. Have an extractor ready for after the download. I like 7zip myself.